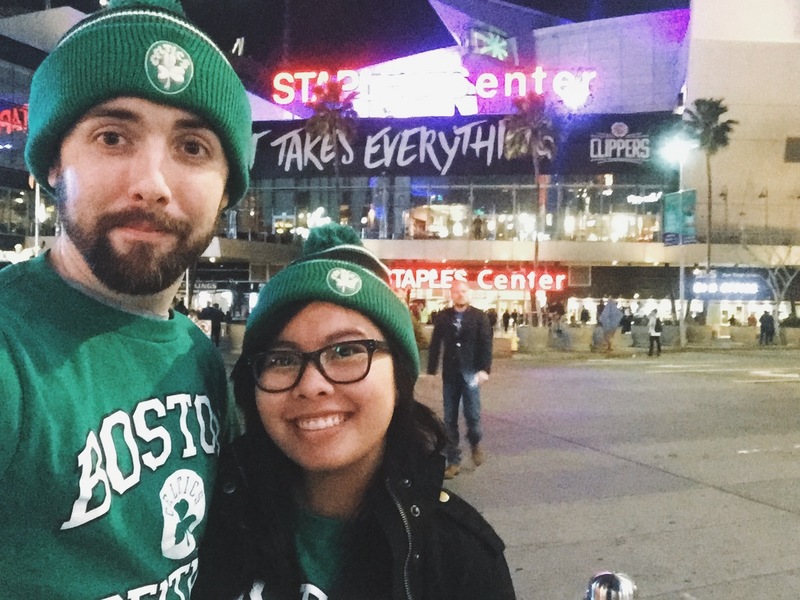 Last Christmas, I bought Chris and myself tickets to finally see our favorite basketball team, the Boston Celtics, play live. We sat in the 207 section; luckily for us, we were the last row so we didn’t have to deal with anyone sitting behind us. 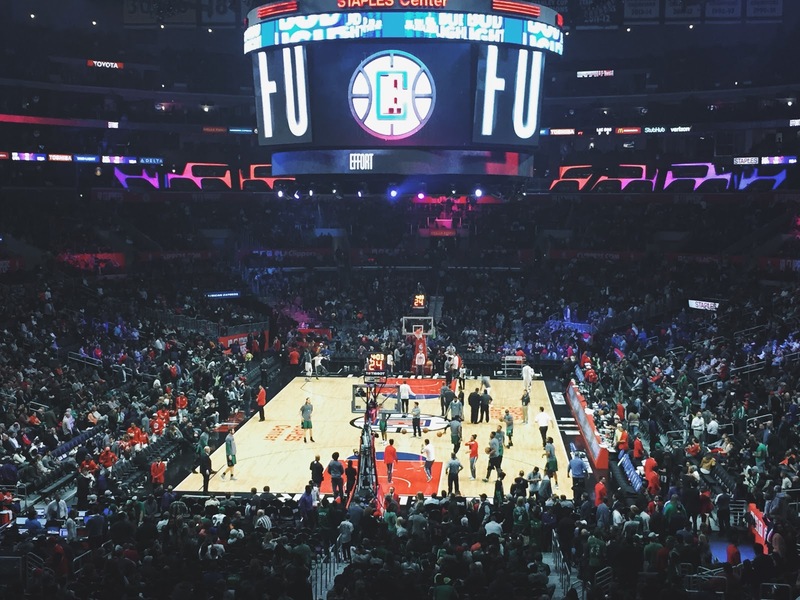 We left for Los Angeles around 4PM because the LA traffic is absolutely horrendous. 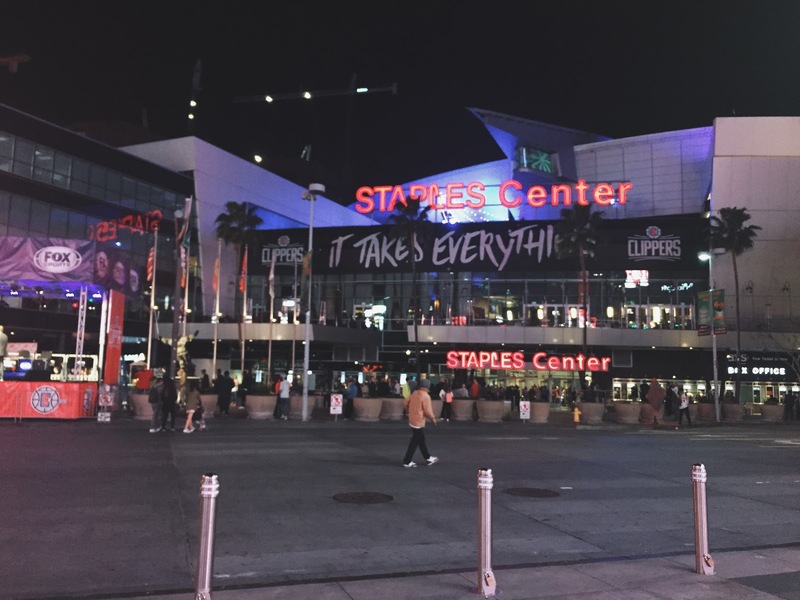 We got to Downtown LA close to 5PM; grabbed dinner at Live Basil Pizza located within the heart of LA Live, which happens to be across the Staples Center. We were probably in line for food for a good 25 minutes before we finally sat down and ate – we got their Maui BBQ Natural Chicken pizza and the garlic knots. Around 9PM, Chris and I were laughing at the fact that we were so tired and we started wondering why we were still awake considering we have the sleeping schedule of old people.